Hello. Hi. I’ve been out of the country for 18 days. Did I miss anything? The first White House presser in 40 days featured a motley crew of Trump administration officials dedicated to avoidance. At one point, Sarah Sanders was asked to comment on news that the Trump Organization hired and recently fired undocumented immigrants who have been in their employ for years. 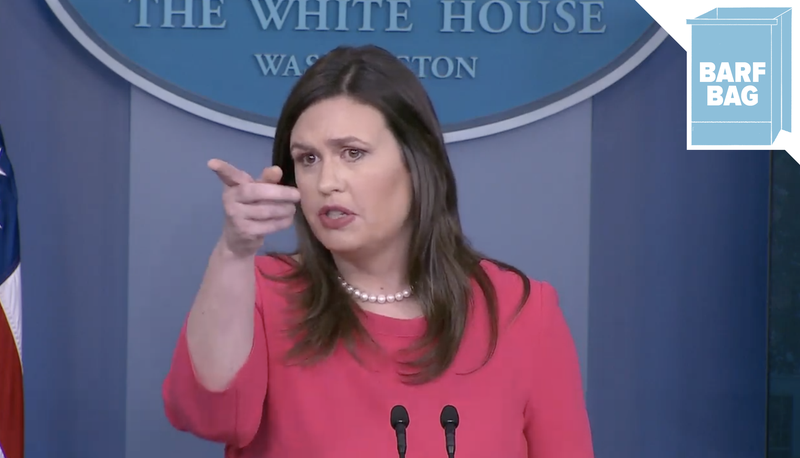 The Washington Post’s Josh Dawsey asked, “What does the president think should happen to a business that employs illegal immigrants?” Sanders, naturally, dodged: “I think that’s one of the reasons that the president wants to fix the problem. He’s one of the people that’s identified that we have a problem and we should fix our immigration system.” Huh?